Here is a poem in support of the March For Choice in Dublin today. Sorry I can't be there. 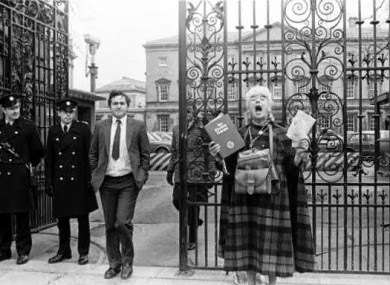 Religious maniac outside Dáil in the early 1980s and man with hands in his pockets. The only people doing no harm in this photograph are the two members of an Garda Síochána.